ADDRESS BY OUTGOING PRESIDENT LOO CHWEE CHIN. 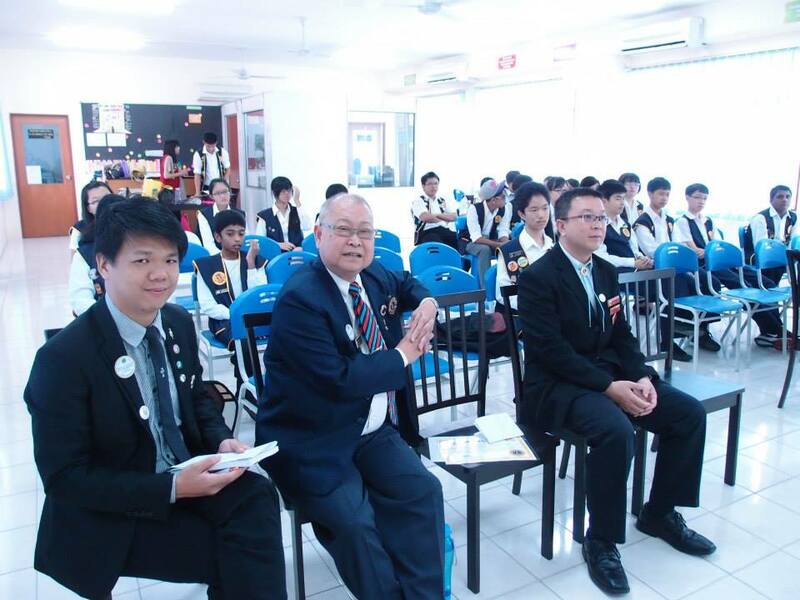 IPP Chwee Chin thanked all members for the 100% attendance. She regretted she was unable to increase the membership & urged members to recruit new blood, otherwise we will turn into an senior citizen club. Hope members will continue giving their support to incoming President Jessie Ng. At this junction IPP took the opportunity to show her appreciation to all members by presenting each one with their new Club purple t-shirt. Additional Appreciation to Lion Jessie for raising the most funds for the Club and Lion Katherine for being her Mentor & Advisor. PRESENTATION OF CUSTOMARY AWARD TO IMMEDIATE PAST PRESIDENT. On behalf of the Club, IPP Lion Katherine Yong presented a customary award to President Loo Chwee Chin in appreciation for her efforts in steering the Club in 2012/2013 in the form of a Casio wrist watch. ADDRESS BY INCOMING PRESIDENT JESSIE NG. Happy to be part of this team, in good times and in bad, members know her the best. Will continue to serve with members to the best of her capabilities and hope the year will just breeze away. Acknowledge that Membership Growth is our grey area for these past years, and hope members will put in more effort to introduce friends and acquaintance to our activities in the coming months. 1ST ZONE 17 REGION 7 ADVISORY MEETING held on Saturday 13th July 2013 from 11.30 am to 1.00 pm at Lions Headquarters, Bandar Sri Damansara, Kuala Lumpur. In Attendance : Region 7 Chairperson Lion Major Patrick Chong, Zone 17 Chairperson Lion Alan Thoo, President Kenneth Yeoh & Secretary Marcus Loh of LC Damansara Metro NC, President Jessie Ng, Secretary Nancy Soh & Membership Director Nelson Wong of LC PJ Mutiara, President Eric Foong, Secretary Andy Lau & Treasurer Low Chee Sing of LC PJ Metro. No representation from LC Ampang City Garden. Special guest, Zone Chairperson from District 306 A2, Sri Lanka, Lion Dr. Vajira Parera & his spouse. Z 17C Lion Alan welcome all present and self-introductory was made. Clubs reported on their current membership, payment status of LCI dues and their proposed projects for the 1st quarter July-Sept 2013. 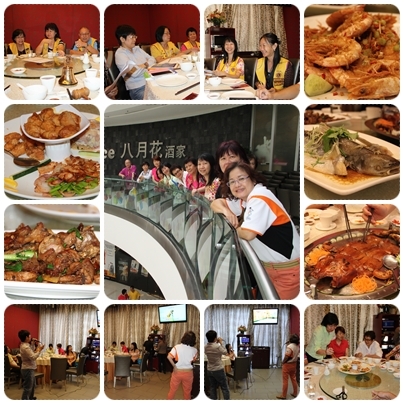 To create better rapport between Clubs in the Zone, ZC proposed that each Club undertake an activity for each quarter starting with LC PJ Mutiara with Fellowship Dinner on 14 Sept 2013 at Restoran BibiChik, PJ, 2nd Quarter will be headed by LC PJ Metro, a proposed health related project, 3rd Quarter by LC Damansara Metro related to Sight First and the 4th Quarter by LC Ampang City Garden. 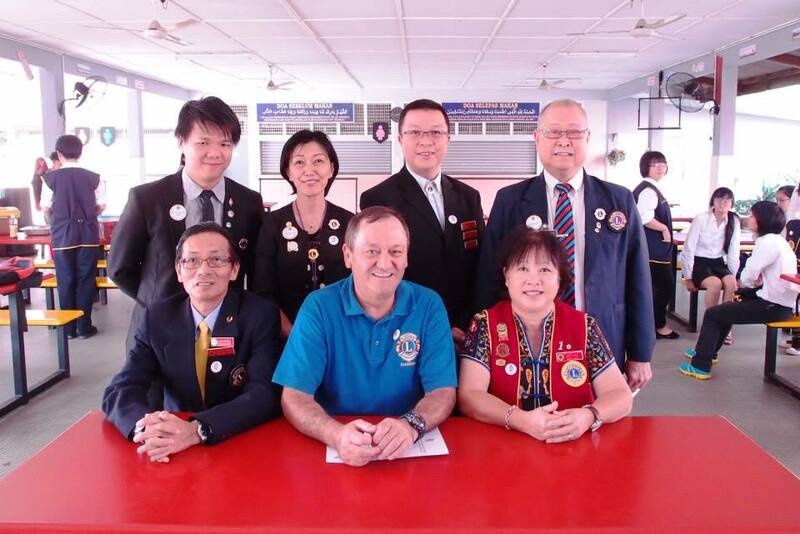 R7C Major Patrick proposed that the Zone organize the “Tanglung Nite” project in conjunction with Mid-Autumn Festival while Z17C highlighted on the PCCPCC Lion-Leo Badminton Tournament scheduled in December 2013. 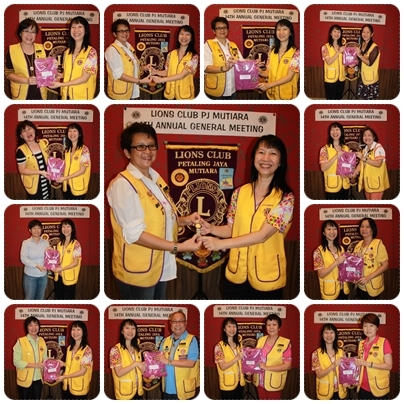 Zone Chairperson from District 306 A2, Sri Lanka, Lion Dr. Vajira Parera spoke about the various health projects organized by his Club and later presented souvenir and bannerette to members of LC Damansara Metro NC and thereafter gave his personal badge to all Lions in attendance. 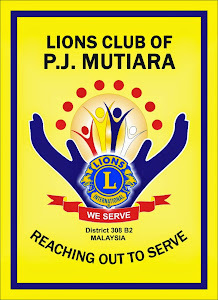 On behalf of the sponsoring Lions Club Petaling Jaya Mutiara, may I extend a warm word of welcome to you on this 10th Anniversary. Anniversaries are wonderful, magical, celebratory occasions, opportunities for recollections of the years gone by and positive reflections for the years ahead. July 2003, ten years ago, Lion Dr. Karen Lee, a Lion who is very passionate on instilling moral & social obligation of youth to the society undertook the responsibility of being the 1st Leo Advisor together with your evergreen Alternate Leo Advisor Lion Jamie Chen to form this Leo Club with Charter President Leo Keith Chuah while I was the President of the Lions Club of PJ Mutiara. I am sure Lion Dr. Karen Lee would love to be here today to join in this celebration, unfortunately she is currently lecturing overseas, and nonetheless, I am sure her utmost best wishes are always with you. 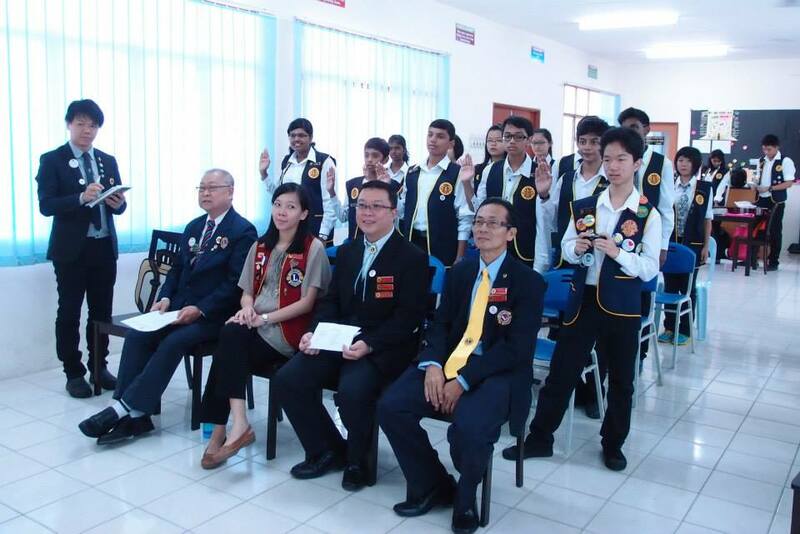 Fast track 10 years 2013, I stand here once again as President of Lions Club PJ Mutiara congratulating you once again. These past 10 years has been happy and successful year in many ways. 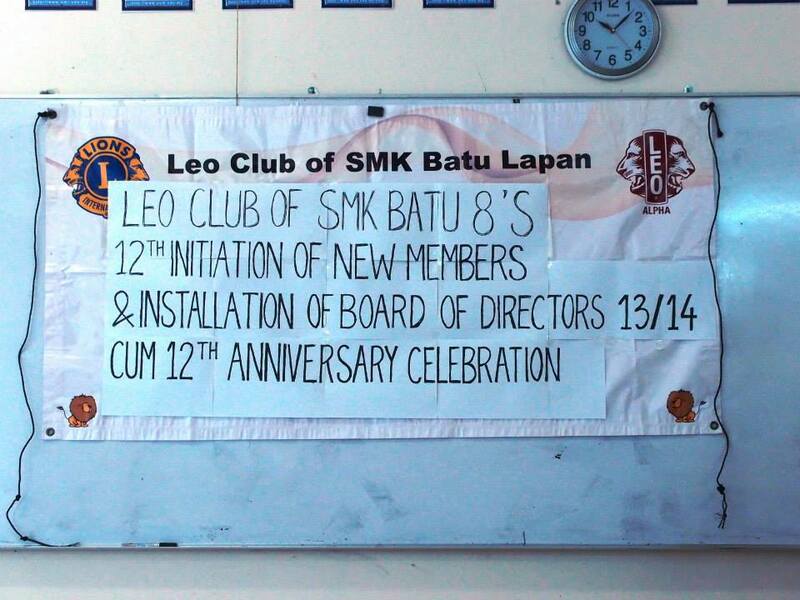 It has been defined by a kaleidoscope of happy memories, supportive friendships and enduring relationships carrying out varied activities and projects to make the Club fly high. Of course there have also been some paths that may have been slightly more difficult to travel, yet in spite and despite the odd stumbling blocks along the way – you have travelled through yet another year - together, supporting, encouraging and enduring one another. And as we take the time to express our gratitude for the fantastic years gone by - we turn expectantly to the years that lie ahead. We look forward to another wonderful year - a time to build and strengthen, forged relationships even further; a time to create and cherish even more shared memories and a time filled with dreams that are brought ever closer and milestones - whatever they may be - achieved. Tonight, as we celebrate the 10th Anniversary of Leo Club Monash University, I value even more the special people that we are able to share this occasion with. It doesn't matter where you go in life or what you achieve, or what you do - what matters most is who you have beside you along the way! Tonite, may I request a standing ovation for Leo Advisor Lion Irene Hoi who stood by you as Leo Advisor for 6 consecutive years thru thick and thin, her unselfish sacrifice speaks volume I am sure. May I take this opportunity to officially introduce your new advisor Lion Nelson Wong for this fiscal year 2013/14. Thank you - one and all - for being beside each other these past years and may each one of you continue to uphold the Leo pledge & continue to pledge yourself for the betterment of your community and country.